Hey girlfriends (and guy friends too!)... 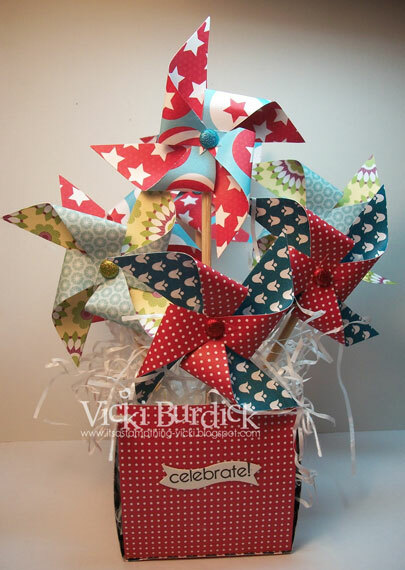 remember the Pinwheels I taught you to make at my last Stamp-a-Stack??? Well.... take a look here.... you can go nuts with them and make some fun centerpieces for 4th of July or any occasion!!! 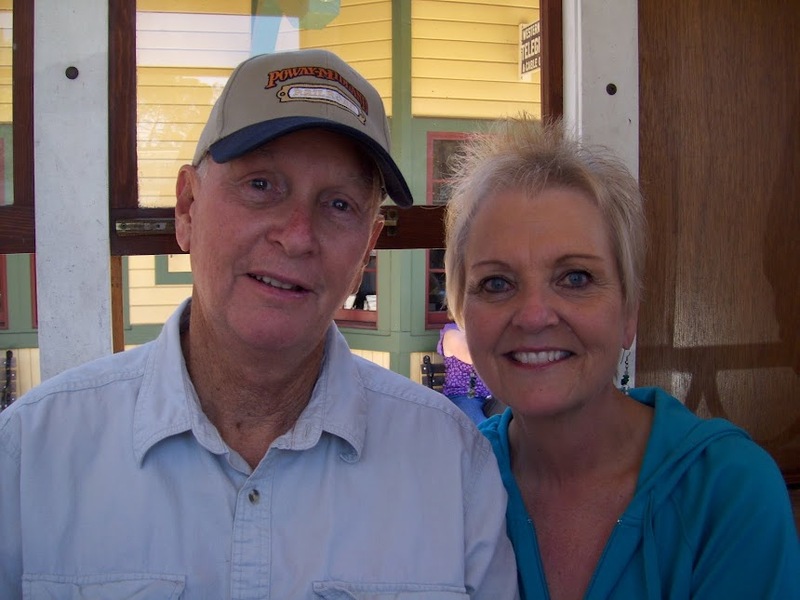 Compliments and Credit to Vicki Burdick! 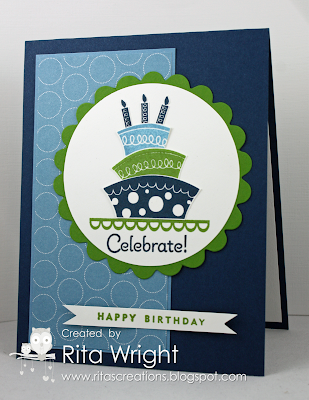 So I'm getting ready, in my head at least, of cards I want to make for my next Stamp-a-Stack which will be held August 18th... mark your calendars now!!! I want to keep them simple and fun for summer.... so here's a sneak peak of one of the samples I found made by Penny Smiley. 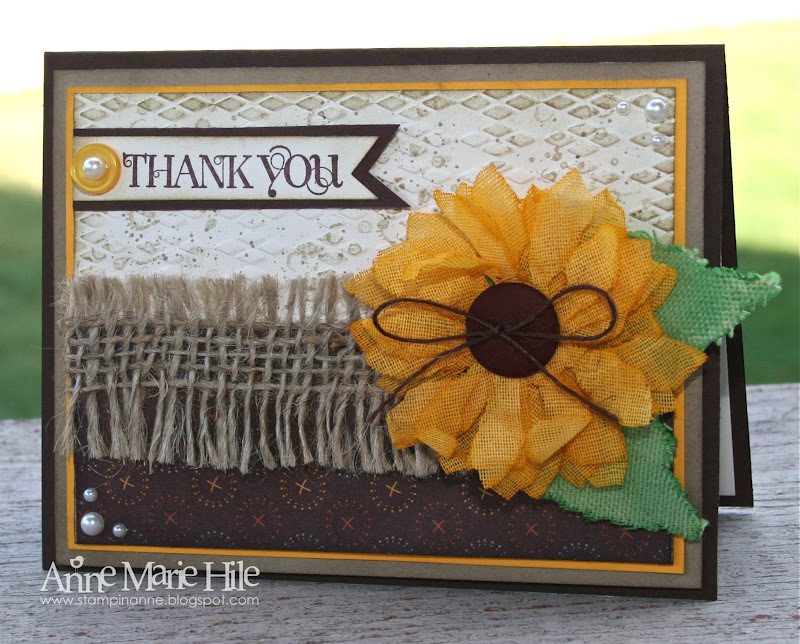 Using the Take Care stamp set and the Polka Dot Parade DSP ... It's darling! Pumpkin Pie, Real Red and Rich Razzleberry. Perfect Pennants Bigz L - it has two nice doilies in the set. The top layer from the Circles #2 Original Die. topped off with three Brights Designer Designer Buttons. It can't get much simpler than this!!! Whether it's butterflies or ladybugs or bumblebees.... 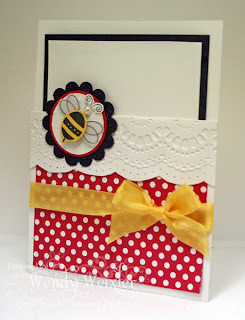 I'm a fan and love this card that Wendy Wexler made.... very sweet bumblebee! Of course accompanied by some red polka dots is what really makes it too! 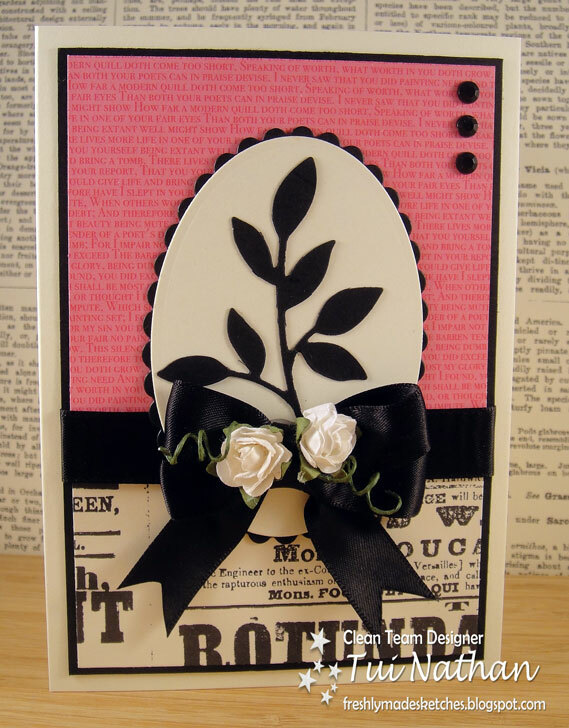 The scalloped border around the oval was made using the Scallop Edge Border Punch — punch a long strip of Old Olive cardstock and then trim it about 1/4″ away from the punched edge, apply adhesive to the back of the oval and then carefully attach the scalloped piece to the back of the oval shape by gently shaping it around the curved edge. Tool to hide any imperfection or flaw! 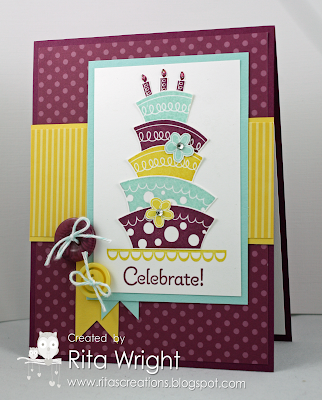 I'm becoming a big fan of Rita Wright's blog.... love her color combos and ideas.... and I also adore funky cakes... so here's a couple of cards she made using the Topsy-Turvy Celebration set. It's just so whimsical and fun! Since I'm also a big fan of polk-a-dots, I'm obviously a big fan of the new Polka Dot Parade DSP.... so between bright colors and polk-a-dots.. this paper has plenty of them! Marina Mist with Midnight Muse and Gumball Green! I think it might be my new favorite color combination! 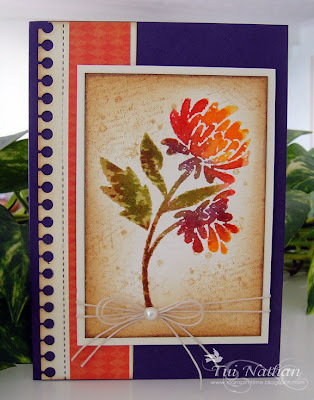 Whether you're a big fan of watercolor painting or not... this technique sure works great when creating cards..... So Tui Nathan gives it a go here... turns out pretty awesome! be sure to use watercolor paper as it gives the best results. and ink blended around the edge. pretty much describes watercoloring... and stamping!! you know my motto... There's no such thing as a mistake! My son Allen would love that... sounds like something he'd say! Newspaper and Magazine print is a really cool and popular way to decorate and design these days ... no wonder the Newsprint DSP is so fun to work with! The pop of black makes it look like velvet! 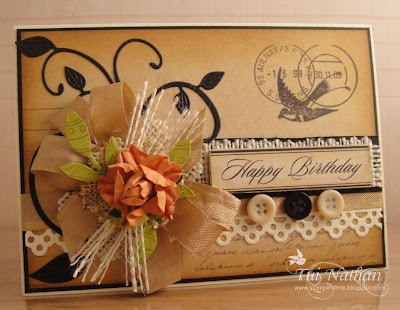 Although difficult to see they have layered some die cut burlap flowers in amongst the ribbon and paper flower, shredded some fibres and added them in the layer, a black flourish die and some distress ink around the edges ... beautiful! Ya think "one of these days" will ever come for me??? Love the color combo.... Lucky Limeade, Bashful Blue, Brocade Blue, Night of Navy and of course Whisper White. 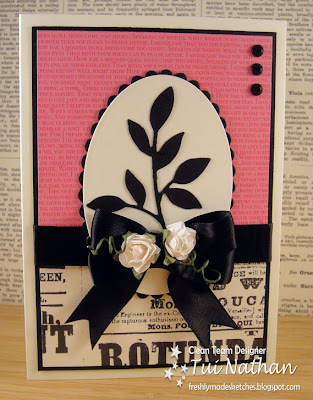 Card was created by Jen Mitchell. Think these must be God's favorite colors too.. isn't at least 3/4 of the earth blue water and most of nature is green... hummmm..... I'm putting that on my list of questions to ask him when I see him. Wait... God doesn't pick favorites.. he loves them all... kinda like us!!! Guess I have my answer! There are so many darling new Designer Series Papers in the new Stampin Up Catalog... you just must take a look a this card made by Nance Leedy using the Patio Party DSP... it features some of the newest In Colors like Midnight Muse, Summer Starfruit, Primrose Petals and paired with Baja Breeze. Gorgeous together. The Summer Silhouettes set is great because each element is a separate stamp so you can mix and match flowers, leaves and colors too. The leaves and stems were stamped in Summer Starfruit while the flowers were stamped in Midnight Muse, Primrose Petals and Baja Breeze. Summer Silhouettes also includes this fabulous trellis pattern. So trendy! 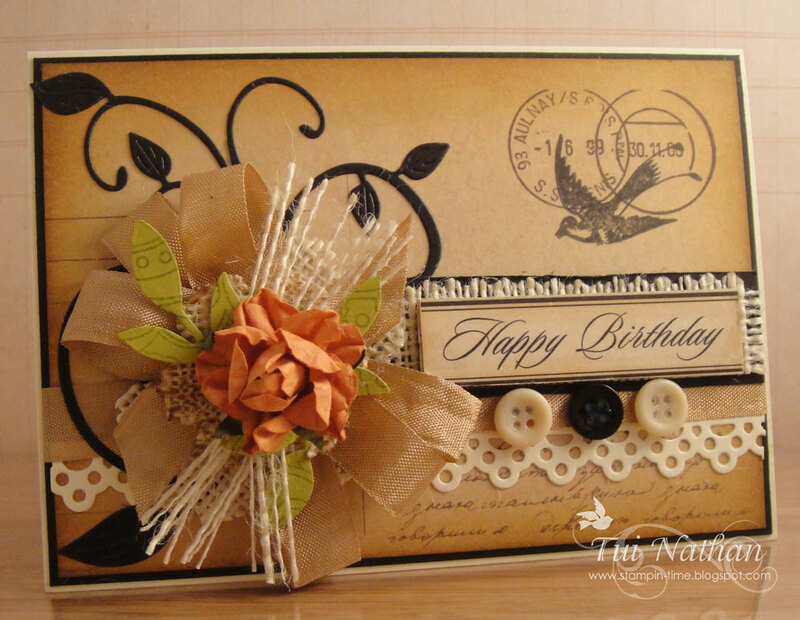 It's stamped in Primrose Petals onto cardstock of the same color. Each panel is 4" x 1.5" and the image is stamped twice. Notice how the focal circle is framed using the Four Frames set and punched four Baja Breeze decorative labels. As you can see above, two labels were adhered directly to the circle and two were adhered to the card base--giving each layer a little more dimension. 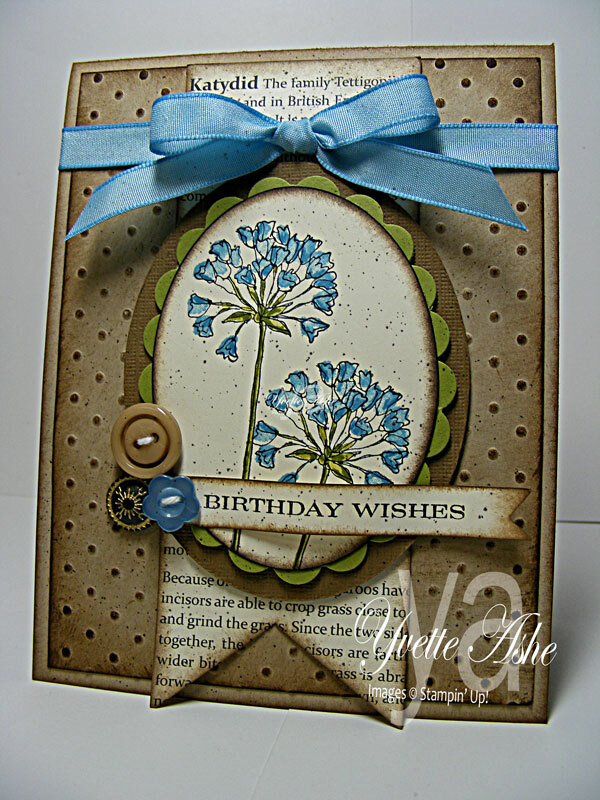 Those bitty pearls are the perfect accent for the Midnight Muse flowers. love it in the Summer Starfruit color! along with Basic Gray and Primrose. the new Fancy Fan on the top portion and the Houndstooth on the lower portion. And best of all the new Dahlia embellishment just tops it off perfectly! and all the different of ways you can use it! Last Friday night, on nearly a last minute whim.... we made plans to go with David & Holly & Brayden to Sea World. They were having their Summer Nights Spectacular for members only... and since we got our passes last July we've been trying to use them again before they expire.. so this was a perfect occasion. I drove down from work and met them there. The special performances ran from 6pm-11pm.... we were there nearly the entire time... leaving right after the fireworks... And it was a really nice Summer Night! Not crowded at all like we were afraid it might be. I can't believe we were able to see three different shows.. more than we do in regular full day at Sea World! .. and the minute we mentioned "turtles" were next.... what excitement! wow.. this is the real Crush!!! .. and the best entertainment of all were the Sea Gulls!!! Come on' guys... let's keep going.. more sharks to see! Now we're under the tunnel and sharks are swimming right above us!! and sat so good through all three shows!!! we had the best seats in town! What an excellent start to a fantastic weekend! Match Maker, Match Maker, Make Me a Match!